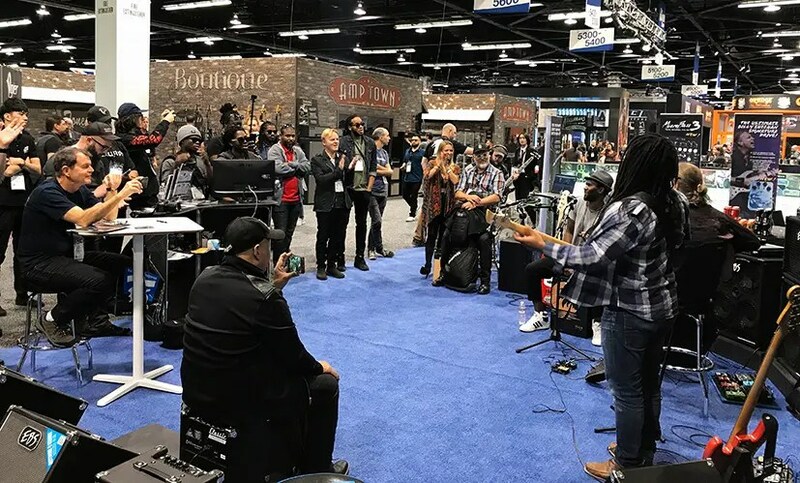 Home / ALL ABOUT EBS AT NAMM'19 / NAMM SHOW’19 – IT’S A WRAP! 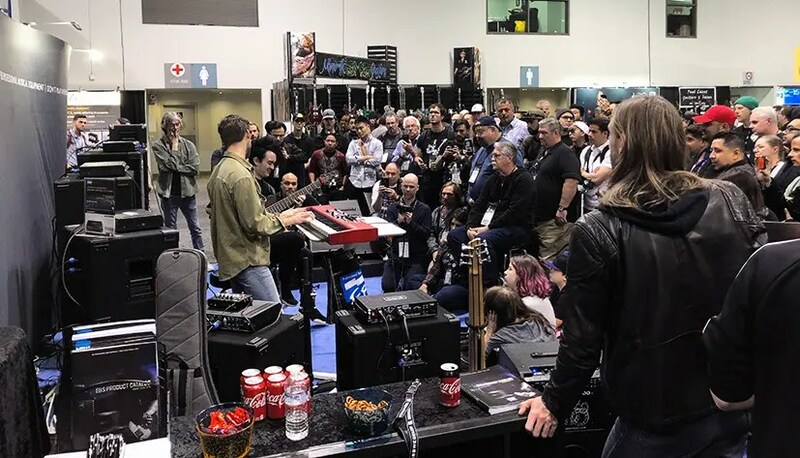 NAMM SHOW 2019 is officially in the books. 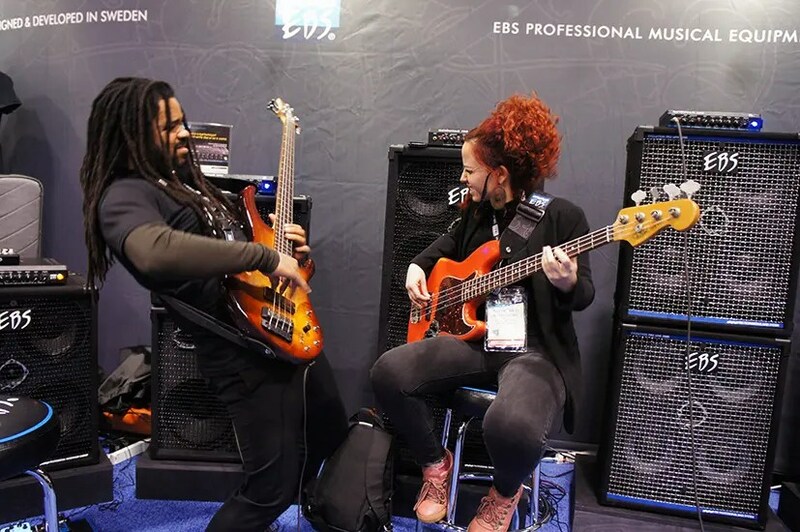 When summarizing the show, we are convinced great times lie ahead for EBS Professional Bass Equipment! 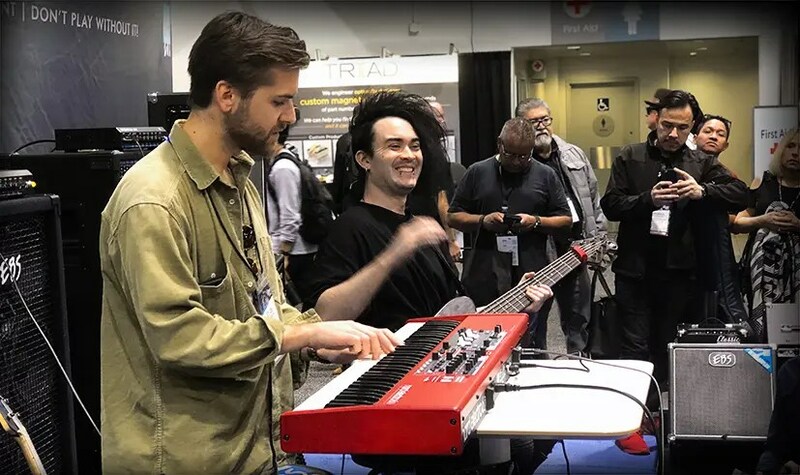 Looking back at our most successful year yet, with no signs of slowing down any time soon, and a handful new products that were very well received at the show, we look forward to continuing help bass players around the world to find the right tools to play with! 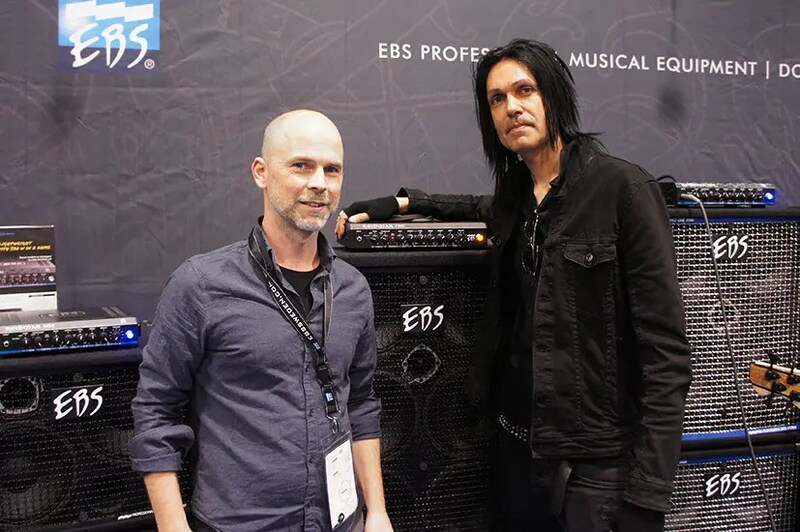 Thank you, everyone, that visited or contributed to EBS at NAMM’19. Videos from the show will pop up on here and on social media over the next couple weeks. And the specifications of our latest releases, and the new ReTracer software and editor will come up as well. Ps. 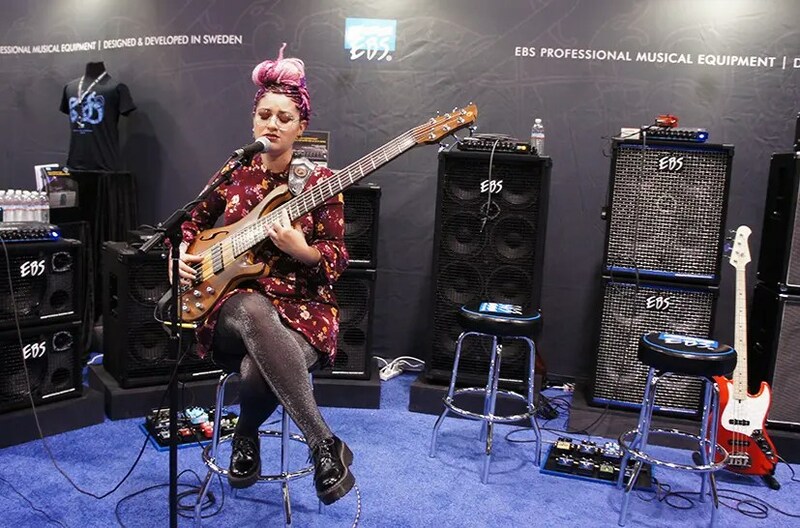 A special thanks to PRS Guitars, Lakland basses and Mattisson Basses for letting us use their instruments. 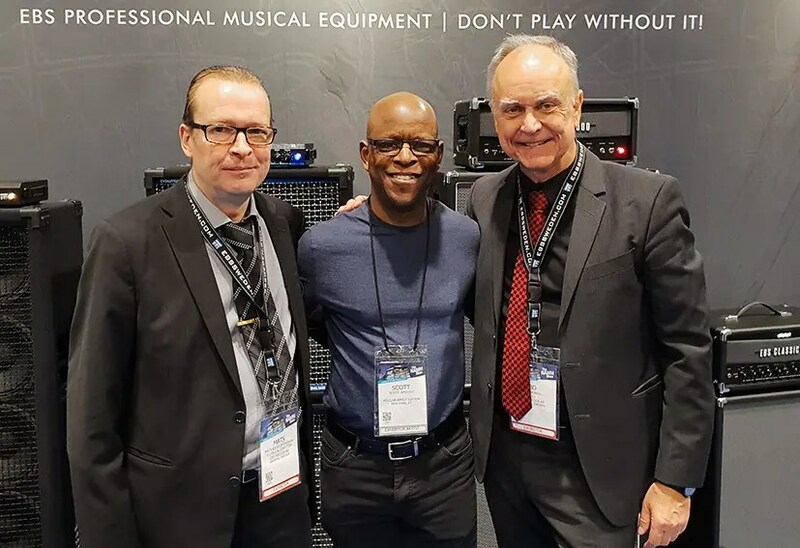 After NAMM jam at the EBS NAMM residence. EBS Artist América Paz - one of our great demo artists this year! 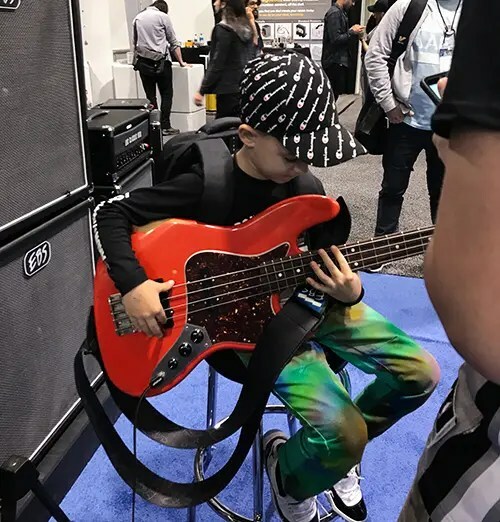 The amazing kid @Aronthebassist played us some Jaco tunes. Ralf with EBS artist Ashes from Devildriver. 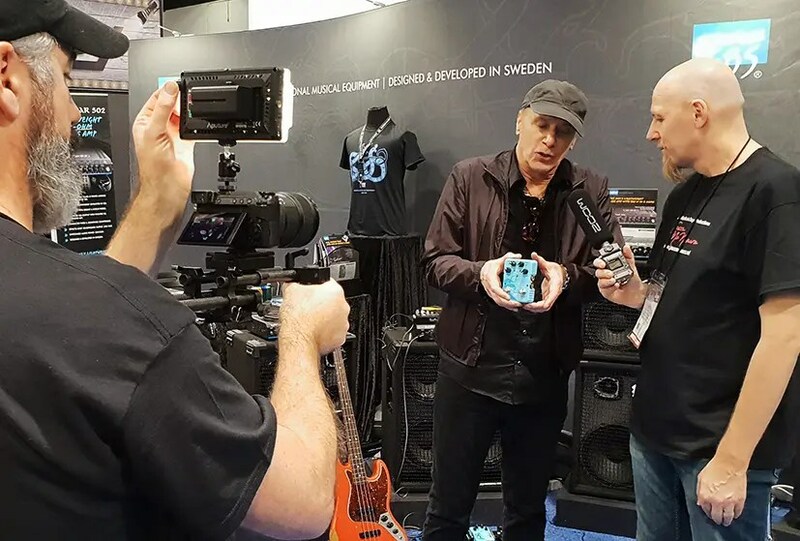 Billy Sheehan doing video promo for his new EBS Billy Sheehan 'Ultimate' signature pedal. 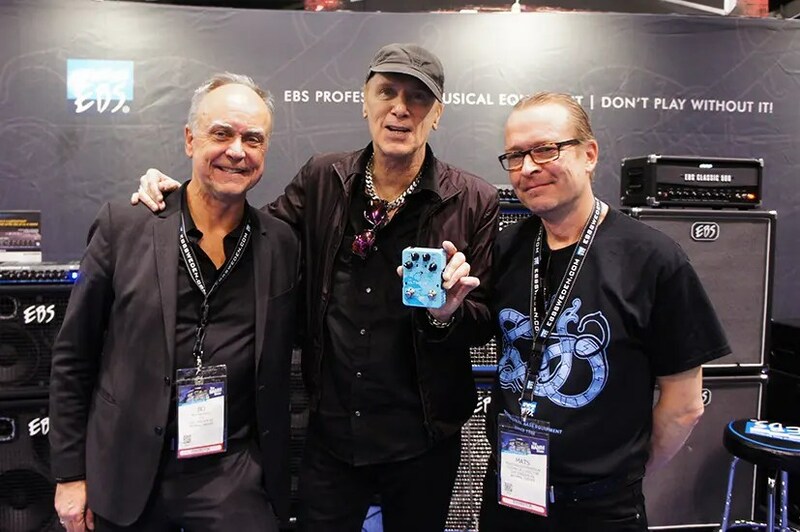 EBS CEO, Bo Engberg, Billy Sheehan and Tech Director, Mats Kristoffersson. 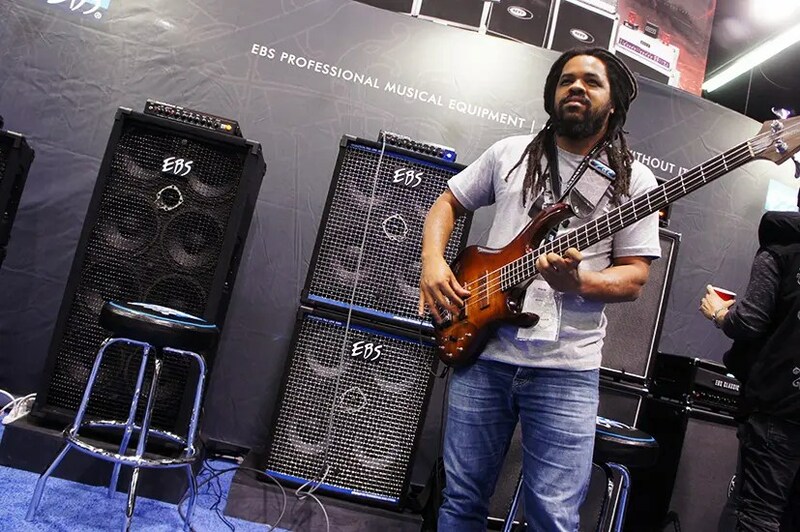 Bass player Brandon Rose came by and jammed a little. 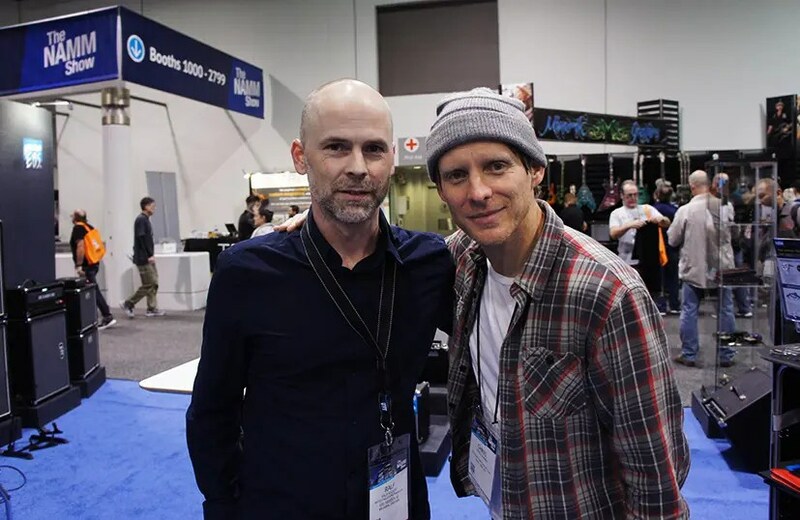 Ralf with EBS Pedal Artist Brett Simons from the band Chicago. 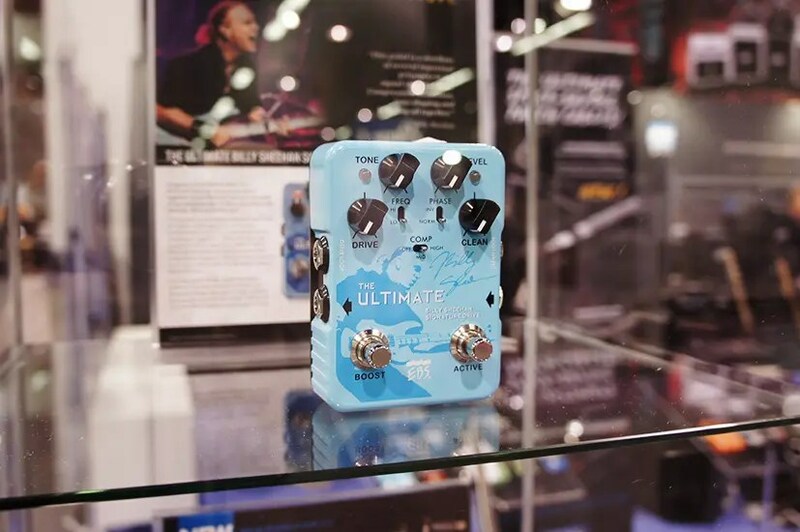 The new EBS Billy Sheehan Ultimate Signature Drive, in 'California Blue' (a possible limited edition color). 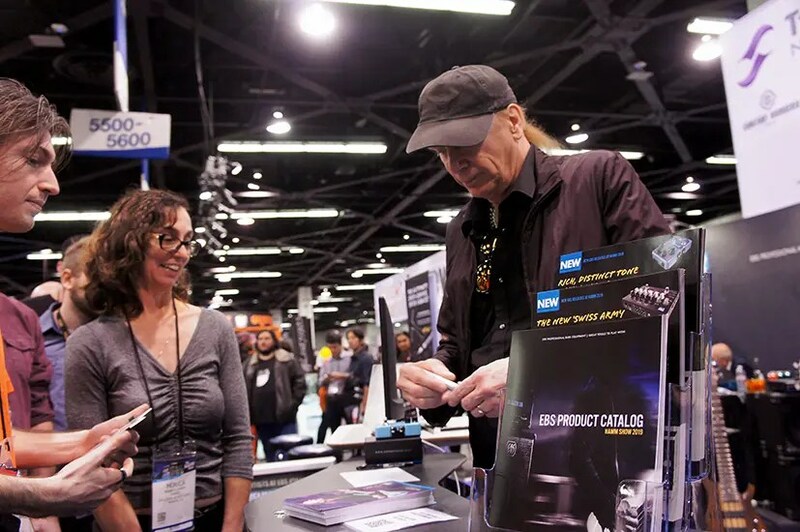 Billy Sheehan signing at EBS. Sometimes, music is all that needs to cut through the noise. Freedoms Trio did an amazing performance on Sunday. The crowd enjoyed the music from Freedoms Trio. This guy! 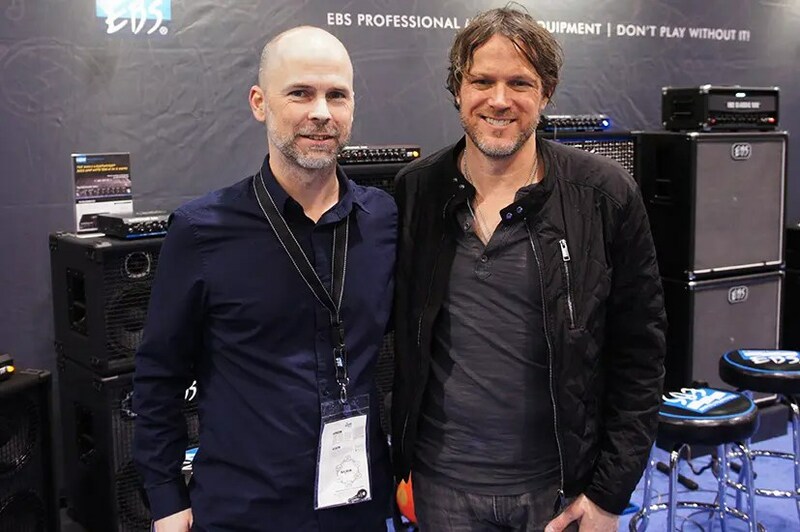 EBS Artist Henrik Linder from Dirty Loops. 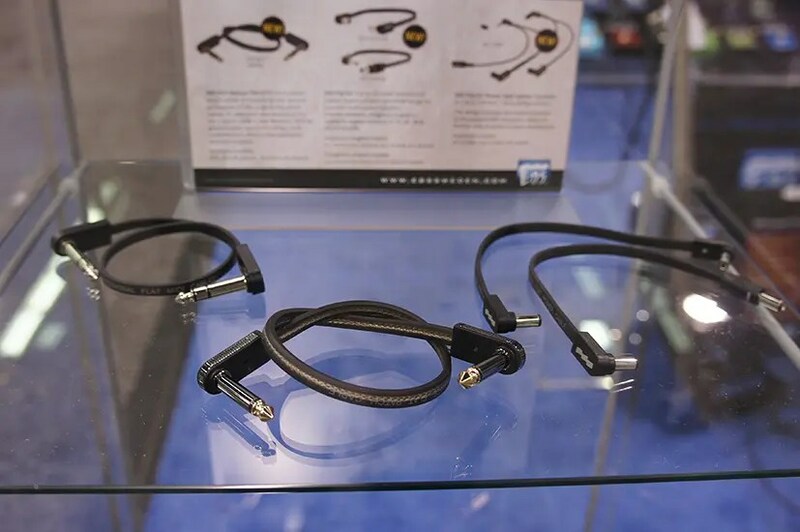 New accessories from EBS on display, including the High Performance patch cables that start shipping soon. It's a wrap! 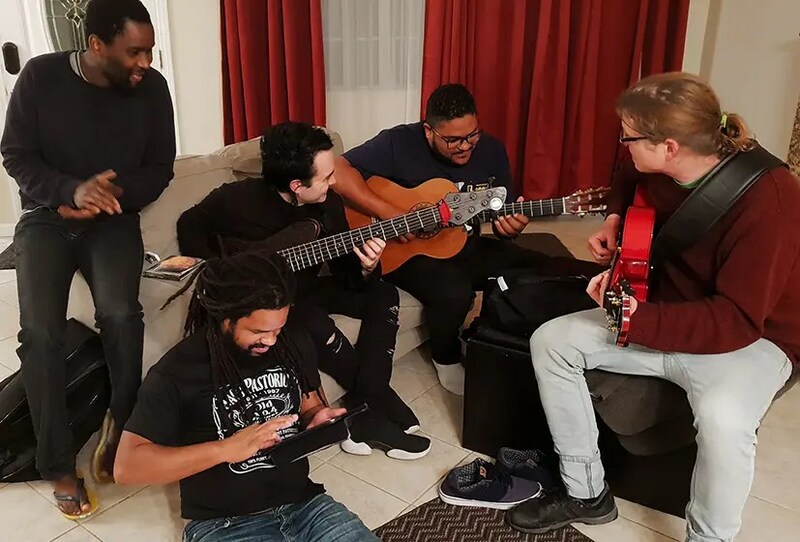 The EBS crew and artists that stayed at the EBS NAMM residence this year. 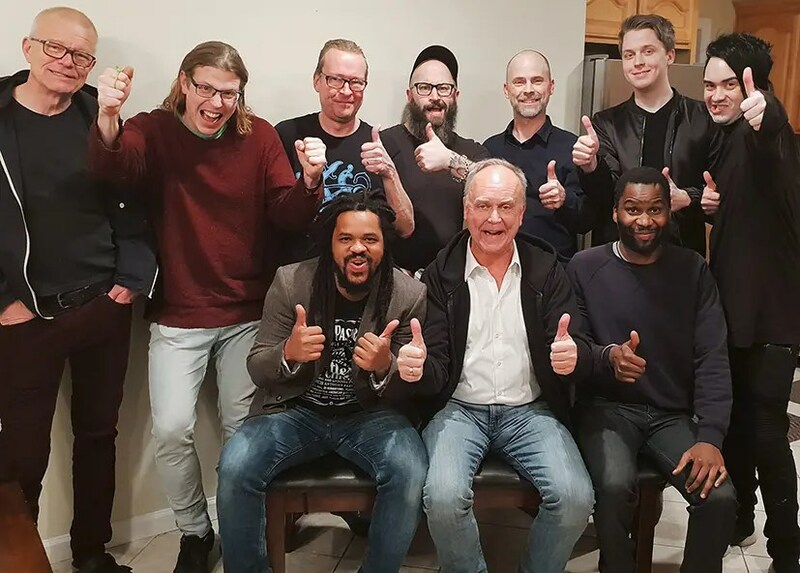 What a team! 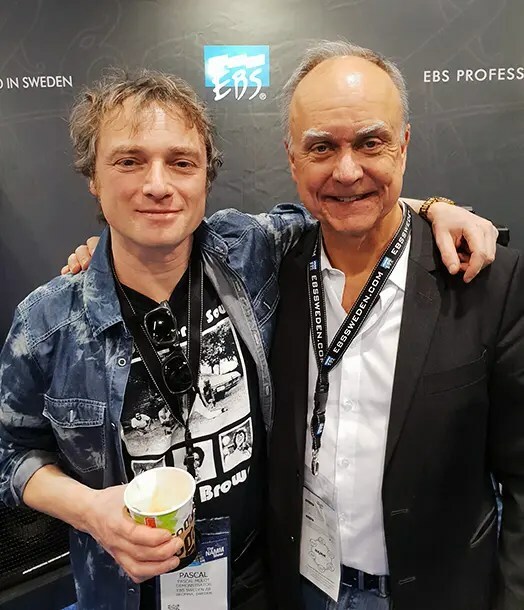 Henrik Linder with Swedish keyboard player Joel Lyssarides from his solo band Henrik Linder & The Cuddly Kittens. World class! 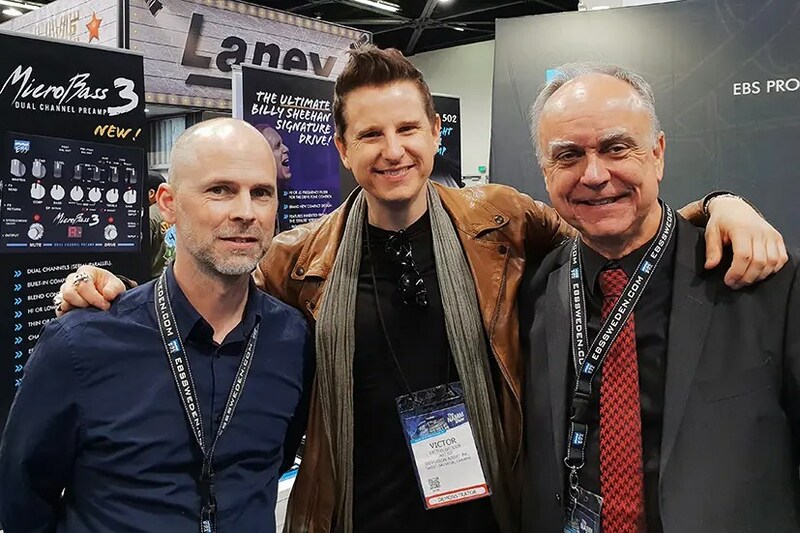 Ralf with EBS Artist Keith Duffy (the Corrs, Ronan Keating etc) and legendary bass player Bob Glaub! 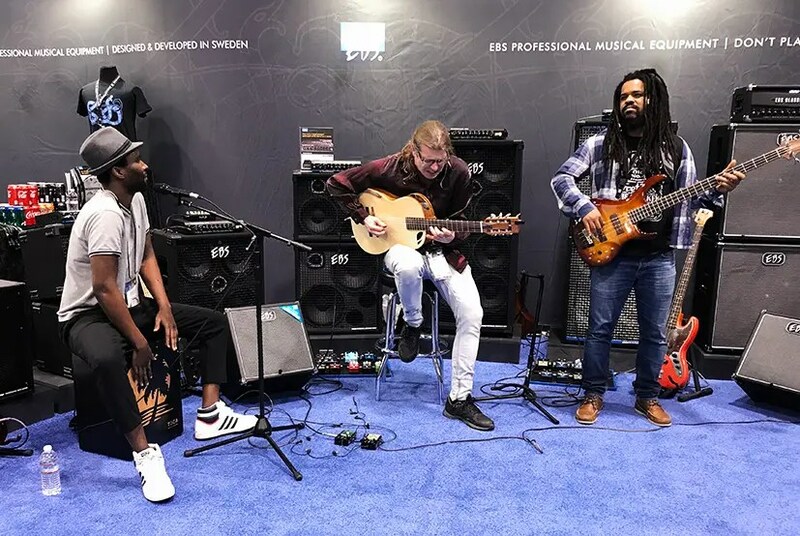 Bo with maestro Rubem Farias and Kevin 'Kato' Walker. 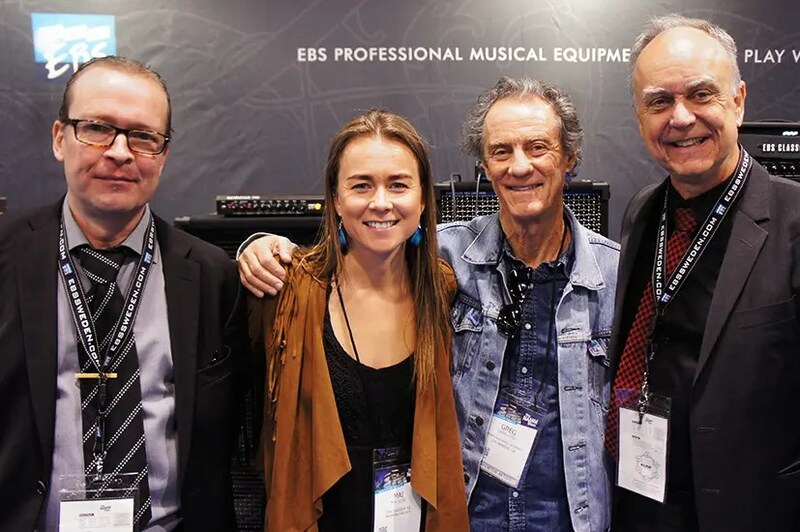 Mats and Bo with Mai & Greg Leisz, currently in David Crosby's band together. 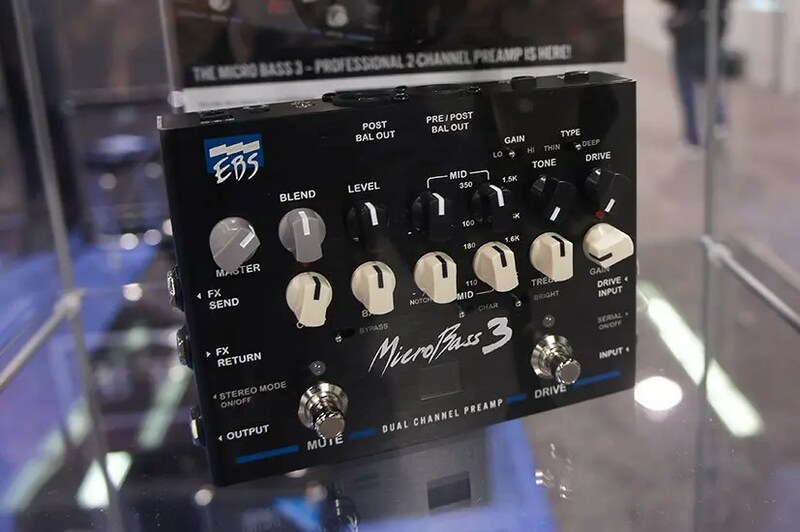 The EBS MicroBass 3 preamp - one of the big news from EBS at the show! 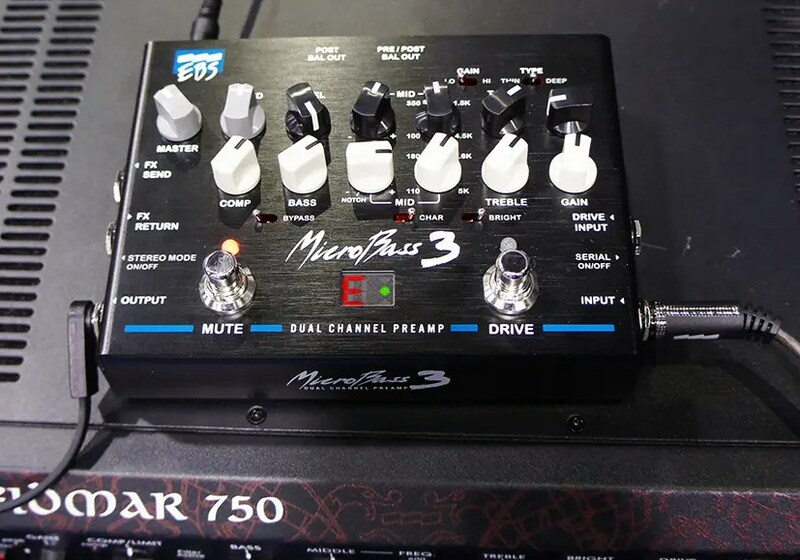 The new EBS Micro Bass 3 preamp on display. 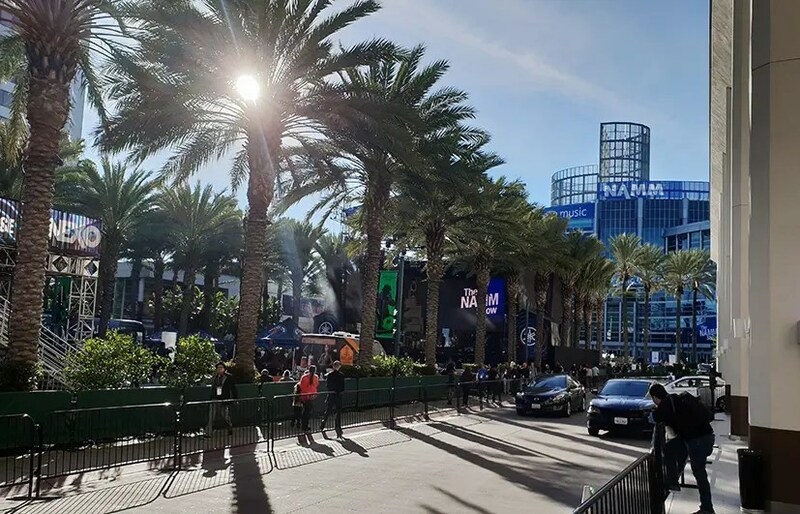 Did we mention the weather was great? 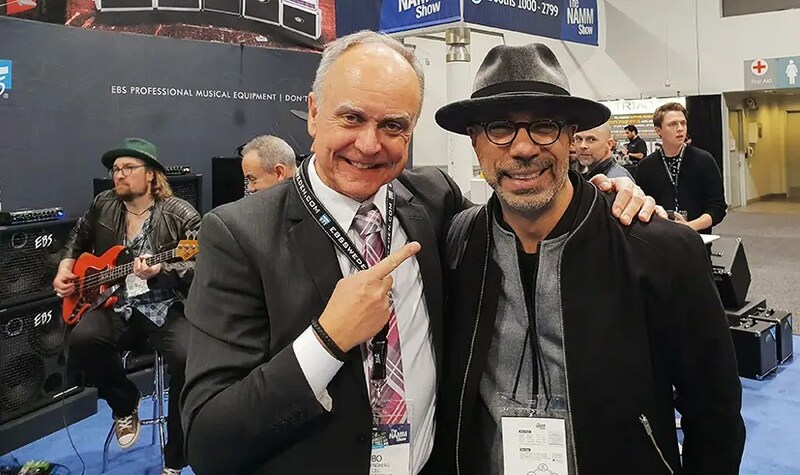 Bo with longtime friend Oscar Cartaya. 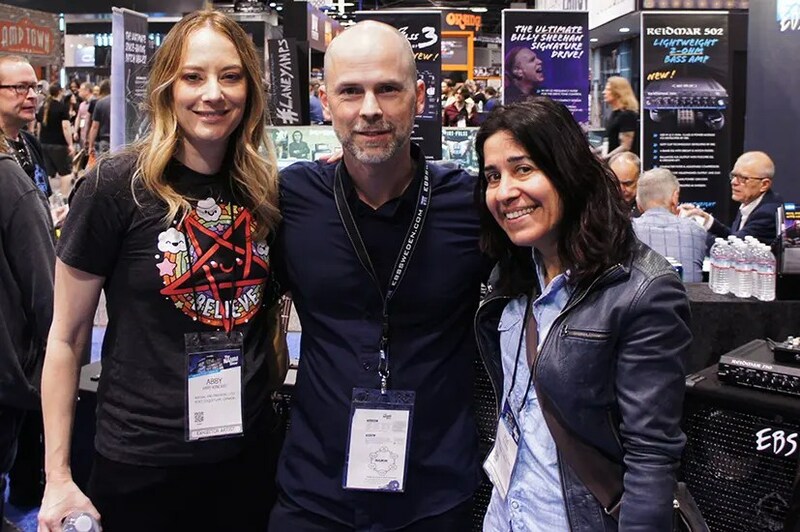 EBS Artist Pascal Mulot was one of our great demo artists this year! Here with Bo. Yeah! 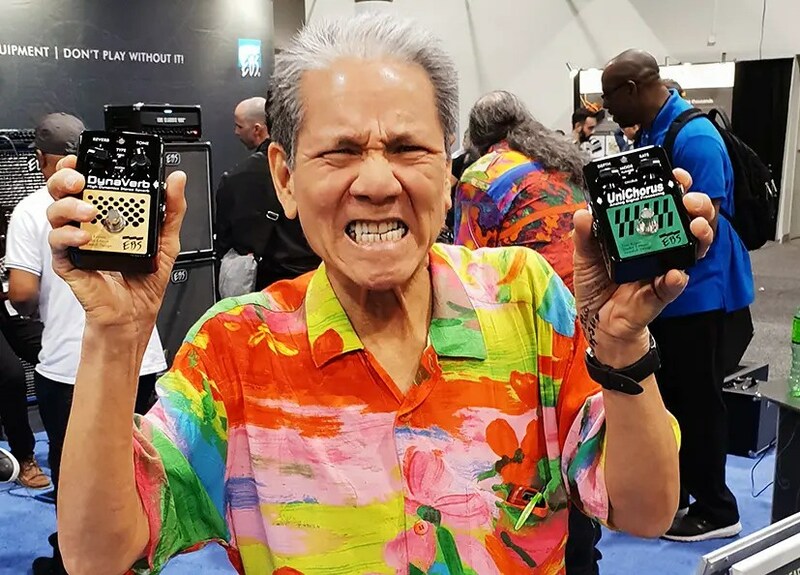 Legend Phil Chen got some new tools to play with! 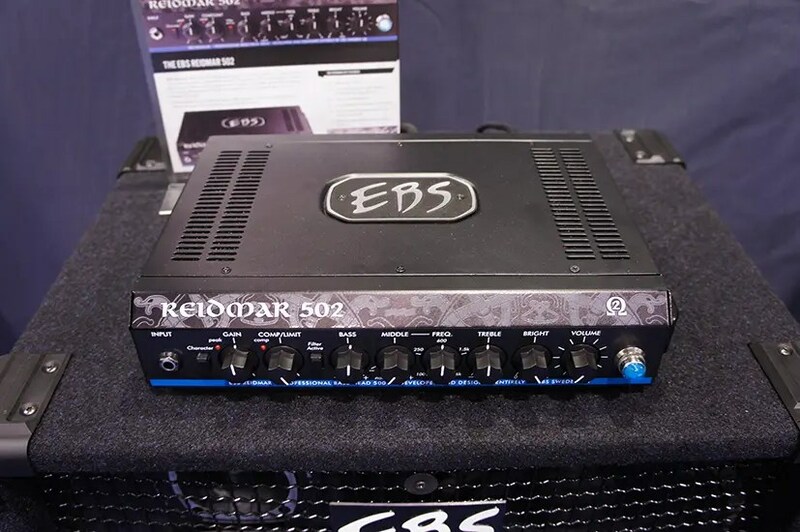 The new EBS Reidmar 502 handles 2 ohms. Signing all over the place. 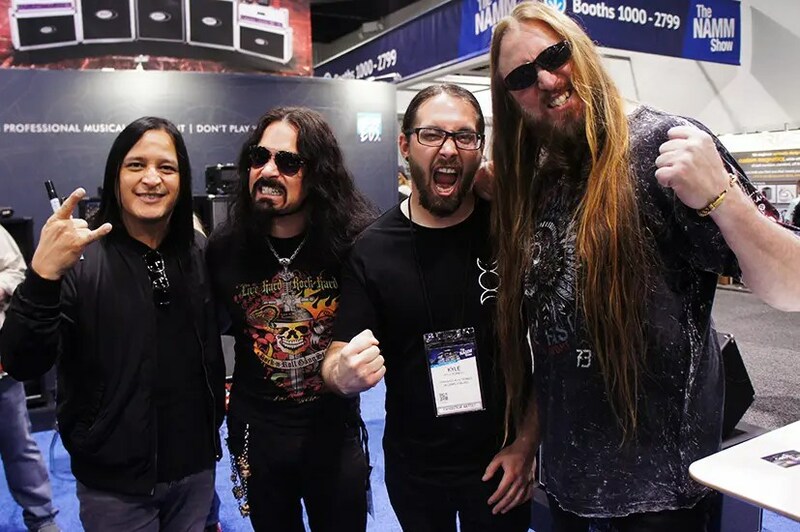 Robbie Crane (Black Star Riders), Bjorn Englen (Dio Disciples), Kyle Konkiel (Bad Wolves) and Steve Di Giorgio (Testament). Let's do this! 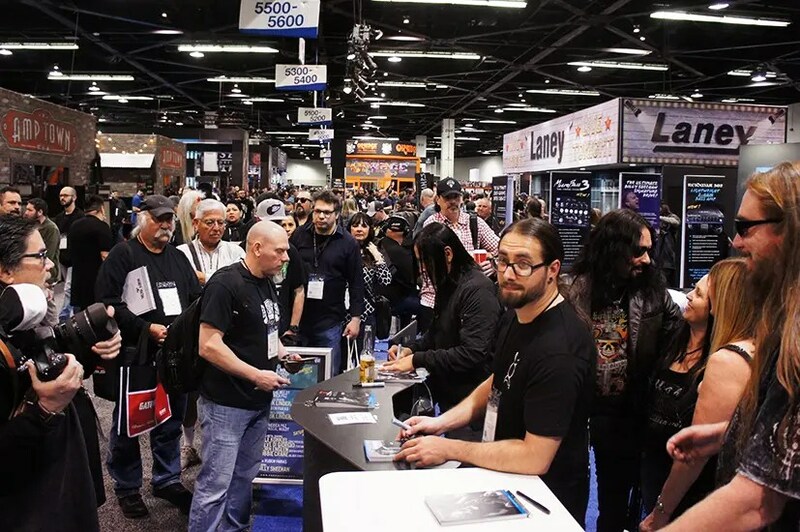 Signing with Robbie Crane, Bjorn Englen, Kyle Konkiel and Steve Di Giorgio. 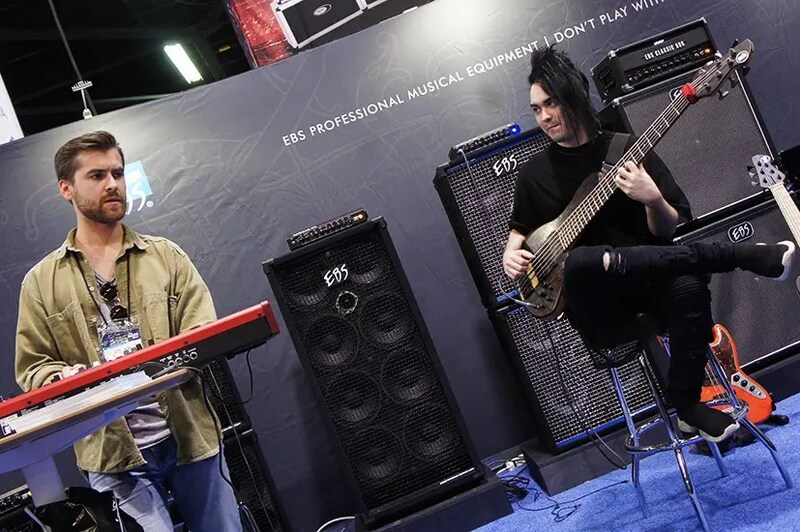 EBS Artist Rubem Farias played at the booth. 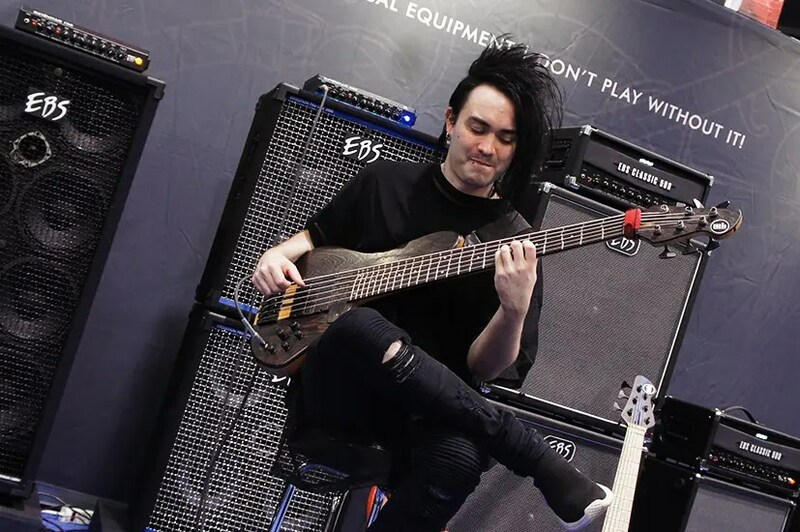 An incredible musician on the rise in the bass community. 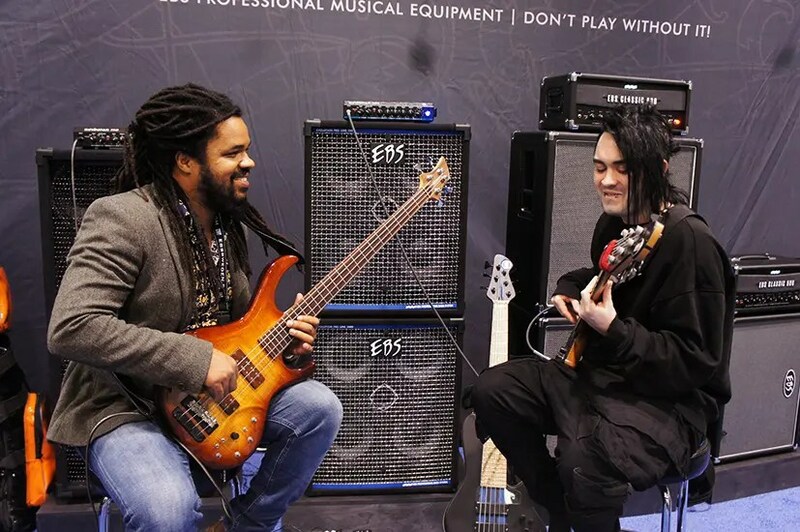 Rubem Farias and Henrik Linder jam. 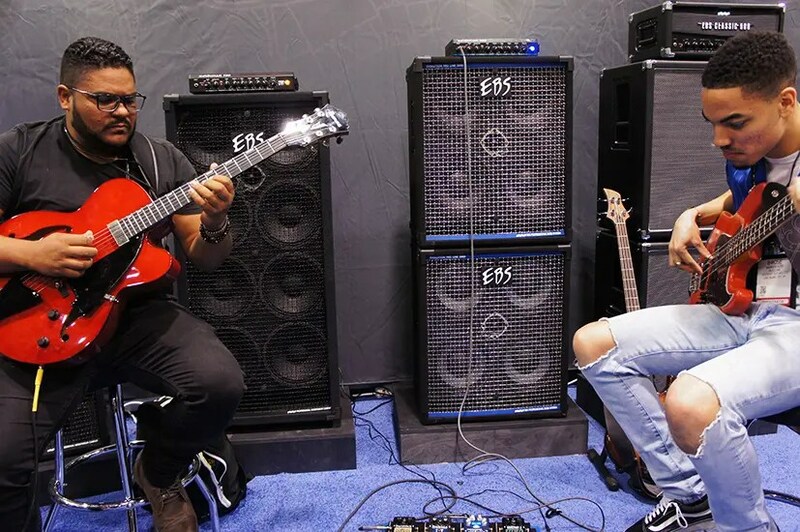 Rubem Farias and the incredible Poliana Magalhaes jam. 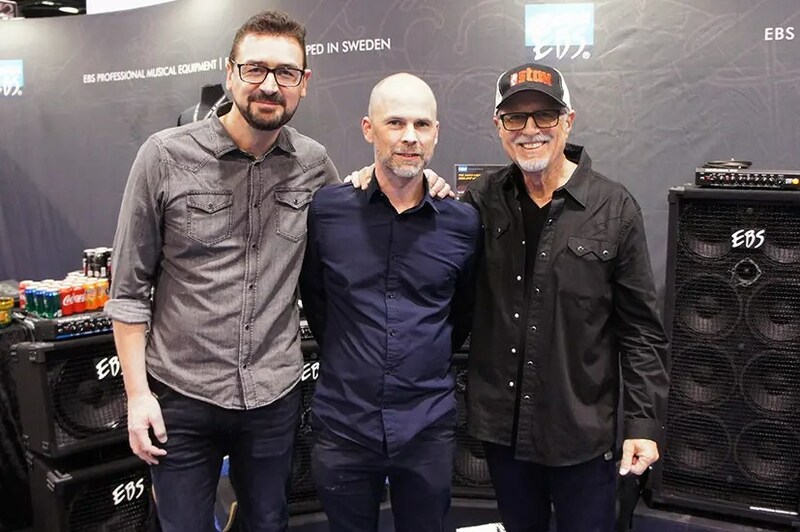 Mats and Bo with old time friend Scott Ambush. 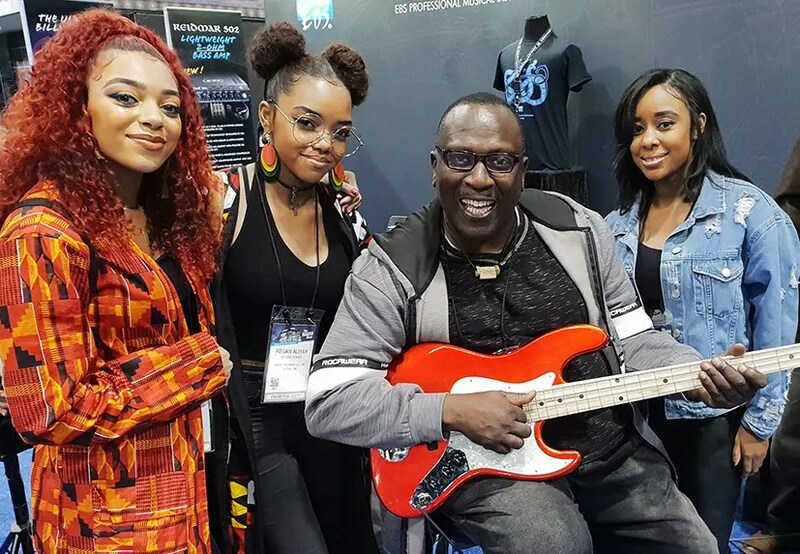 Sekou Bunch with Ryan and Regan from rap-duo RYBE and Adrienne Mary'ya. 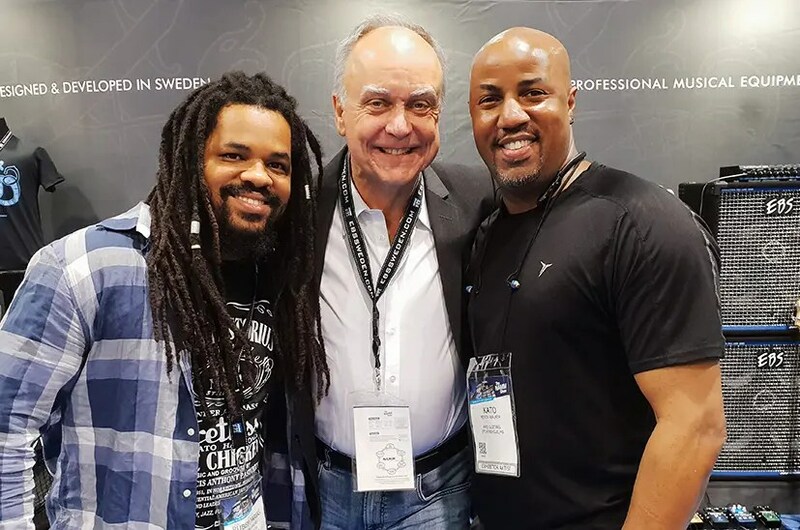 Ralf and Bo with fellow Swede, the amazing Victor Brodén. 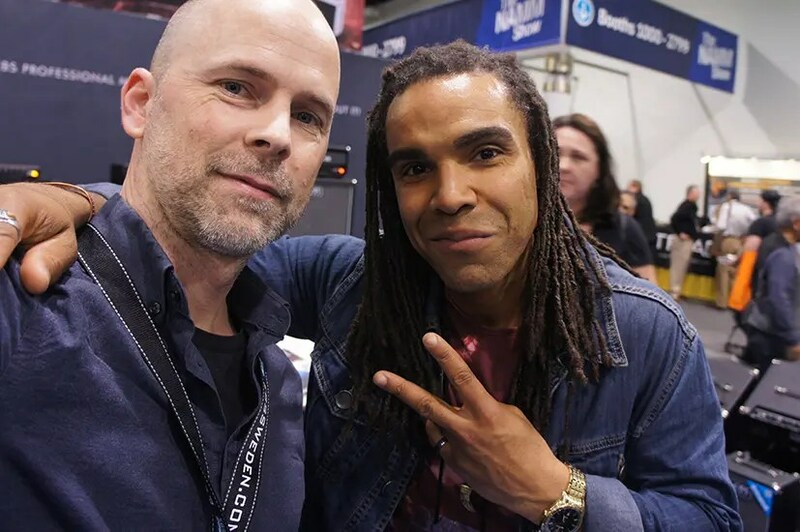 Ralf with EBS Pedal Artist Zach Rudulph from Andy Grammer band. Henrik & Joel got a big crowd. Are we having fun yet? Playful playing by these two dudes.